We’re all greatly anticipating the return to the big screen of the famous HBO series, GOT! Yet, it seems that we’re not the only one, since Play’n GO release a dragon theme game with a female heroine! Perhaps the game provider is winking at Daenerys! Who knows? But what we do know is that this game sure delivers a lot of action since it’s a high volatility slot with progressive ways to win. Indeed, in the base game, you’ll have 243 ways to make winning combinations. And the Free Spins bonus offers you 7,776 ways to pocket up to 5,000 x your initial stake. Dragon Maiden is a November 2018 release, and we’ve had the privilege to try this game recently. So don’t miss the review below if you wanted to give it a spin! Bonuses & features: Expanding reels, Re-Spins, Free Spins, and Expanding Wilds. To sum up, the action of Dragon Maiden revolves around the Red Dragon symbol (Scatter). And the great thing is that this symbol can appear on all reels in both the base game and in the Free Spins bonus. Yet, the ability of the dragon symbol varies depending on the game mode you play. In fact, in the base game landing 2 Red dragon symbols on the reels will always trigger a Re-Spin. And if you’re so lucky to get the third dragon on the reels during the Re-Spin, you’ll trigger a second Re-Spin. You’ll continue to Re-Spin until the 5 reels are filled with dragons, after that, you’ll trigger the Free Spins bonus if you’ve managed to collect 3 or more Red Dragon symbols. 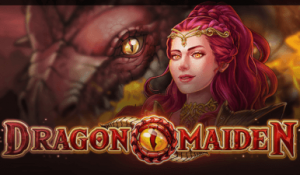 When you play Dragon Maiden, the number of Free Spins you’ll play entirely depends on the numbers of Scatters that landed in view. The minimum amount of Free rounds you can trigger is 8, and the maximum is 12. Also its worth knowing that when you play the Free Spins bonus, any Red Dragon symbols that land in view will cause the reels to expand. And to get the full 7,776 ways to win you’ll need to get one dragon on each reel to unlock it. Thankfully, you can unlock the reels one at the time. So you won’t need to get 5 Dragons on the reel simultaneously. Sure Dragon Maiden may not have the most innovative theme, but it has many appealing features. And it’s also a great game to try if you cannot wait for Season 8 to start in April! 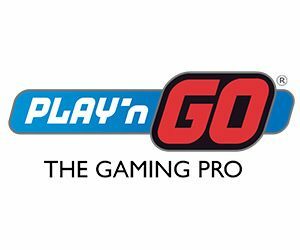 And because it’s a Play n’ GO slot, you know you’re in safe hands since the RTP sits within average. Try it now at any of our UK casinos and have fun!